Ask fellow campers about "Meadview RV Park and Rentals" and nearby attractions. While this park is pretty basic the view is spectacular and the campground host is truly the nicest one we've met in our month+ of travels and is very knowledgeable about this region. Lots of tips on what to see and best route to get there. Walked us in to our site and helped direct our backing in. 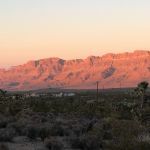 The flora and fauna is beautiful and the sunset on the mountains is not to be missed (it only lasts about 10 minutes so make sure you know exactly when sunset is!). The night sky is also beautiful. Sites are close together but there was no noise issue. As a matter of fact, this park is out in the middle of nowhere and is the quietest Park we've stayed in - no trains and very limited traffic! Interior roads are dirt and there is very little lighting to compete with the beauty of the night sky. If you are looking for amenities this is not your park; if you are looking for natural beauty don't miss this little gem. We camped at Meadview RV Park and Rentals in a Motorhome. We stayed 3 months while prospecting in Gold and Lost Basin. 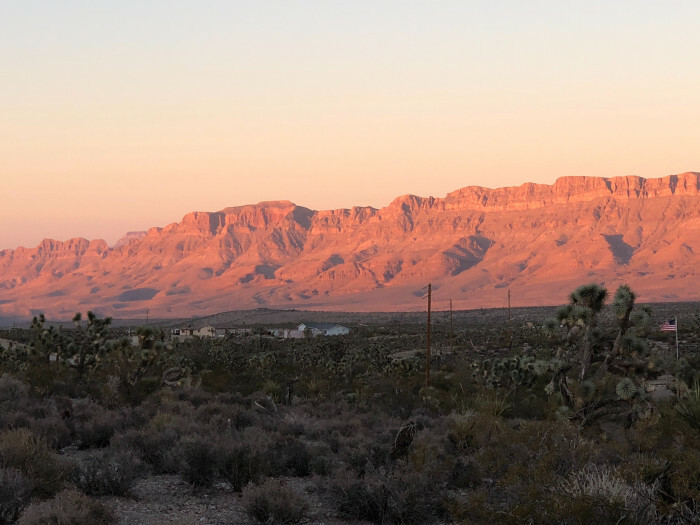 This park caters to prospectors by suggesting locations and even provides club applications for the Gold Searchers of Nevada claims located right across the road from the RV park. We found several nuggets with our metal detectors there. Very friendly host though he often had others filling in for him while he worked away from the park. He made every effort to ensure our stay was pleasant. Fair prices and good neighbors. We would highly recommend and will return next winter. We camped at Meadview RV Park and Rentals in a Travel Trailer. Good but a bit expensive Pizza and sandwich place a mile from the park. Good Family Dollar store as well. Gas and Grub mini mart 6 miles from park. Very reasonable fuel prices. We have stayed several times at the park utilizing their cabins. They are not fancy but beats a tent every time. Hot showers especially, though the public shower facility available to campers is actually bigger than the cabin shower stall. We were allowed to park our toy hauler overnight without paying extra since we rented the cabin. Management aims to please. We will stay again. Thanks so much. We camped at Meadview RV Park and Rentals in a Cabin. This is the closest RV park to the Skywalk over the Grand Canyon. The owner takes personal care of the campers. Most important, is that he has complete knowledge of the Skywalk and his "tips" are very useful. There are full utilities at every sight and they are well thought out. Free video rentals. Propane available. This is a no-frills park but we enjoyed it very much. 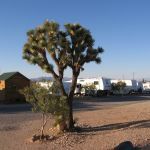 We camped at Meadview RV Park and Rentals in a Motorhome. Mead view is a small retirement town. There is one bar and a Pizza shop. Family Dollar is only shopping opportunity. There is a boat launch for Lake Mead about 10 miles away from the park. If you are going boating or to the Skywalk this is a convenient place to camp. Otherwise give the area a pass. This park is currently very full with workers on a large job nearby and this will go on for a while. That said, we were able to get a nice level site. The cabins and sites are mixed which is OK. There is lots of "wide open space" around here - great for dogs though you should keep on a leash or watch for wild critters. Proprietor was nice man. Campground seemed nice and quiet. I recommend if you can get a site. We camped at Meadview RV Park and Rentals in a Fifth Wheel. Are you affiliated with Meadview RV Park and Rentals ?